Have you started your online business? Or are you thinking of starting your online business but do not know where to start with some additional income? If you answered yes to any of the above this post is for you! As a virtual assistant who have worked with clients in the past and have no clients as well. I had to find ways to be creative in having additional income for when I do not have any clients. In the past I have mentioned my recommendations that I have used in the previous year for my passive income. You can have a look at my previous post on how to work less and create passive income for your business base on my recommendations. Now, I would be recommending five different affiliate programmes that I think that as an online business owner that you can benefit from as well. So what is this passive income? I have always kind of define it in my own words, but I am making it simple by saying that if you have a business, a side job or need additional income, this passive income is a way to make additional cash without having to put in much effort. If anything that I would want you to take away from this post is to make sure you do your research as well as what will work for you and your business. You can join affiliate programmes from companies that are already established or you can start by creating your own series of products that can be PDF guides or even videos. I would start off by saying if you are a new entrepreneur or blogger who do not have the time to start creating your products from scratch you can join companies that are established and have a good record of a good payment system. This means if they pay out through Paypal, direct bank deposit, or give away coupons, its best to know how you will be paid upfront before you sign on. You also want to make sure that you join a company that will reflect the kind of income that you want to achieve for the month as well. I would start off by mentioning that some of the times you could be over looking services and products that you use on a daily basis that could have allowed you on making income already. I would point out one mistake that I had been doing all wrong from the get go when I was online. I have always been buying products or items online and because I love to shop a lot online that there were sites that reward you for shopping online. I was on another bloggers site who mentioned that EBATES gave you rewards for shopping online. All you need to do is sign up with the link provided (It’s FREE to do so) and you will be rewarded with a $10 bonus. All you need to do is sign up with the link provided (It’s FREE to do so) and you will be rewarded with a $10 bonus. From there you can add and shop your favourite sites and activate the cash back when doing so. You can have a look at EBATES to see what I am referring to. While I see other bloggers or entrepreneurs like to recommend joining Amazon or Google AdSense. I want to suggest an alternative. These I think are very hard requirements in terms of if you have been blogging for awhile and base on your social media following. Not saying that you can’t join these sites but if you are starting out I would wait until you have been blogging for awhile. I recommend joining ShareASale as I think this is a better alternative in my opinion because once you fill out the form honestly you can hear from this site within 2-3 business days. All you do from there is search for merchants which has a wide list of merchants to choose from. Once you are approved from these merchants you can start sharing and earning at the same time. I have recently joined three merchants from the ShareASale site. While I can join more if I want to I choose to mention these three and my decision to do so. I am also a virtual assistant that has a fashion twist to my business so I am sure you would know that the categories that I chose more to be affiliated with are fashion and jewelry. 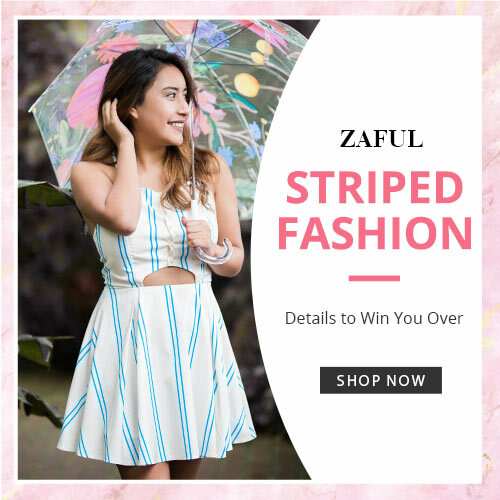 I chose to go with Zaful a clothing company that offers to sell affordable clothing and delivers worldwide. I also see this as a win-win for my second business as I am also branching out as a stylist. I have been creating outfits via Polyvore (Now named Ssense) and this will also come in handy for both my business when someone, more than likely a client purchases from the link that I recommend. Another merchant link that I have also choose to be an affiliate with is LULU’s The reason for this as I had stated that in most instances you could be shopping from these sites and your friends or families as well could be using these sites and you could benefit from earning a commision from these sites. The third site that I have been using is Stella & Dot as women we love us some jewellery, and we do love deals when they do happen on items that we have been dying for to go on a sale. This is where I have been thinking along the line of when purchasing products for myself or friends you can use Ebates to earn cash back while also earning commision from these sites that you love to visit and shop once someone clicks and buys from these sites that you have recommended. I cannot tell you how easy this can be done if you have started your business and have a blog. I am doing this now by having a blog post on how to earn passive income for this month. I have also included my recommendations as well as let you know through this post that if you need more recommendations for passive income that they can be found on my sidebar or footer of my website. If you are a seasoned entrepreneur and have a social following you can promote your links through your social media sites. Once you have made a post you can be sure that if you recommend these products you earn a commision once a sale is made when someone has clicked on your link and have purchased an item from such a site. Another way of promoting these links are pinning through Pinterest. I separated this social media platform to show you how I have tied in creating outfits on Polyvore and then driving traffic from Pinterest for customers to visit. If you are into fashion like myself and have been creating outfits via Polyvore(Now named Ssense) you can have your recommended sites with these pieces that you have created via these sets. So in other words you are creating sets with sponsored links of items that you recommend from these fashion sites. Another way of promoting your link is by sharing what you think about such a product. This can be done via a video that can be uploaded via your Youtube channel or doing reviews on your social sites or through your blog post. Lastly, if you have an email list you can share with your readers your recommendations of your products. The good thing about having your email list is that these individuals who follows you will more than likely trust what you have to say and will make a decision to make a purchase. So now that you are aware of how you can make passive income for your business this month. I would like to hear your thoughts on which ones you will be using soon. Here are a list of other entrepreneur’s websites I have been featured on! The 3 Ready To Wear Outfits Every Girl Should Own!